Effingham County, where February’s Survivor of the Month, Cynthia Grovenstein is from, like much of coastal Georgia, is blessed with some of the most beautiful flora in the entire South. Blushing azaleas in the spring time, colorful foliage in the fall, and ever-present pine trees that rise up like gospel singers along the horizon. Perhaps the most impressive features of the terrain are the many towering oak trees, draped in Spanish moss, that pepper the charming countryside. The trees are a testament of time and perseverance, with massive trunks and a wood as tough as steel. Many of these trees have been there for generations, through windy winters and grueling summers with punishing rains. But no matter how big the storms have been or how unexpected the challenges that emerged, the trees still stand tall to define not only their own character, but also of everything else that surrounds them. People are like this too sometimes. When Cynthia was diagnosed with breast cancer, it came with muted surprise, as she had a strong family history of the disease. Despite the storm of diagnosis and the torrents of treatment, Cynthia would soon emerge much like the oak tree: sturdy, faithful, and stronger than ever. Cynthia’s journey with breast cancer would change her life in many ways, both physical and spiritual. She would learn that her experiences were profound enough to change many things, from her profession to her outlook. But above all, she would learn that the value of faith, hope, and courage is something that she could pass on to others. She would learn that victory is sweeter than cane syrup. Those same oak trees that stand tall around the fields of Springfield flourish not only because of the strength of their wood, but also because the roots that they have laid are thick and tough, and pointed in the right directions. Families are like this too sometimes. When Cynthia learned that she would face the hardships of breast cancer, it was not the first or the last time that her family would hear such terrible news. Cynthia’s diagnosis was the second of three such occasions in her immediate family. Both her mother, Emmie, and her sister, Harriett, each previously celebrated as Survivor of the Month, would face this same journey with grace and perseverance. Like her mother before her, Cynthia would lean on her families both at home and at church to help her through the challenges. Cynthia’s journey is also an excellent example of the many different ways that a person can become active in support of the fight against breast cancer. 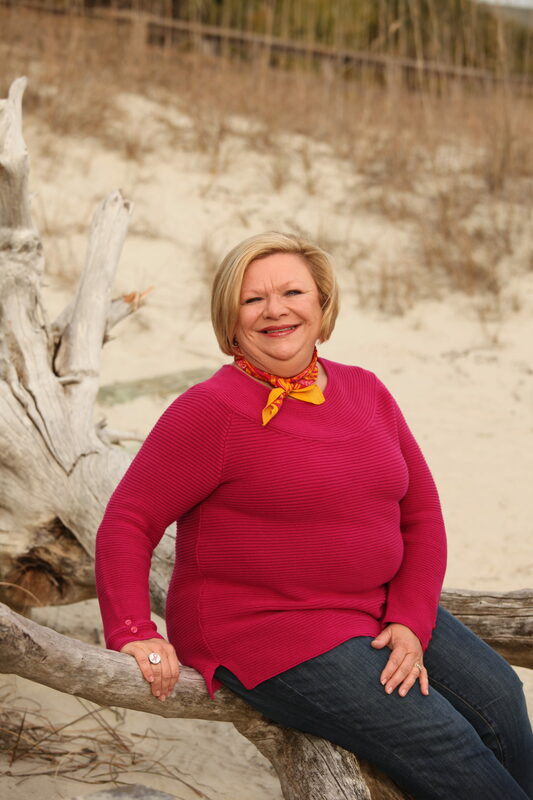 By partnering with her local affiliate of Susan G. Komen, Cynthia has been able to help in a variety of ways, from education and advocacy to fundraising and survivorship support. In addition to participating in the race the past two years, Cynthia has also found a way to put her expertise to work for those less fortunate. “I was on a committee who wrote for a Komen grant in our community for women who do not qualify for other programs. Many women received mammograms and follow- up as a result of receiving this grant.